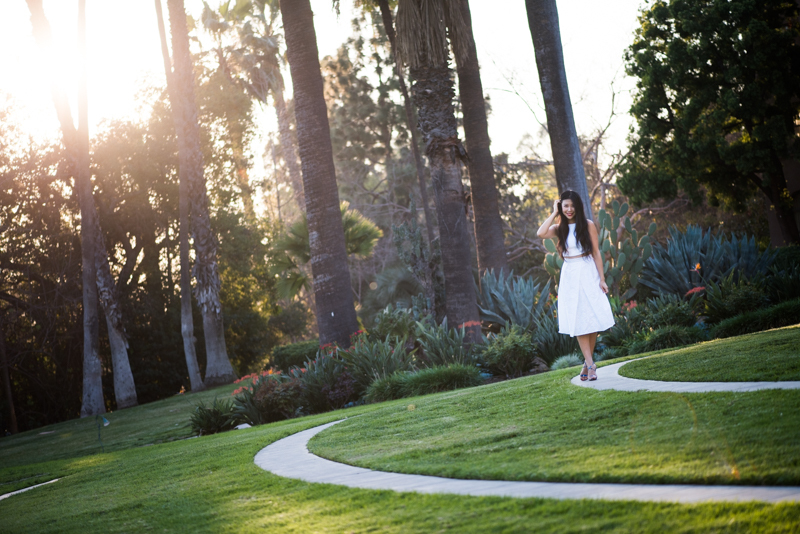 I felt like a modern day Cinderella in my two-piece dress from Lulu*s paired with floral heels from DSW while exploring the whimsical grounds of Langham Pasadena. 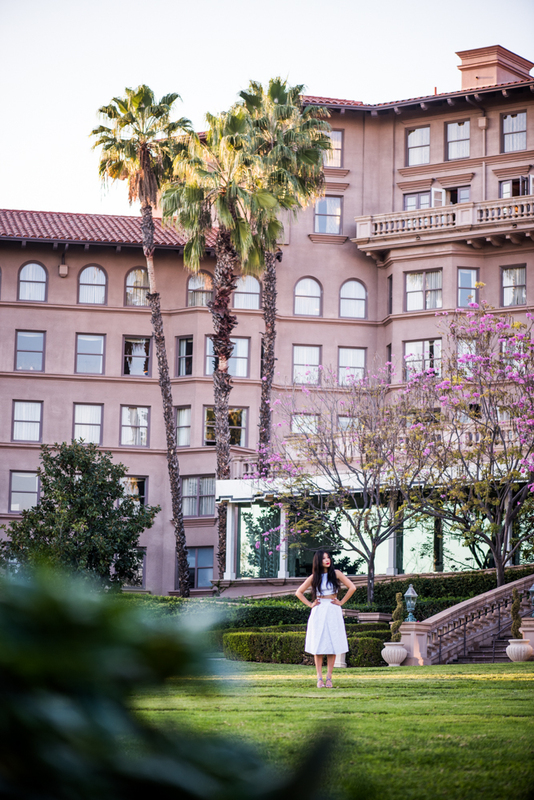 Daryl and I had so much fun hopping and shooting all over the sprawling grounds of the Langham Pasadena. Every backdrop was picturesque-from the zen Japanese garden to the ethereal cherry blossom trees lining the back of the hotel. 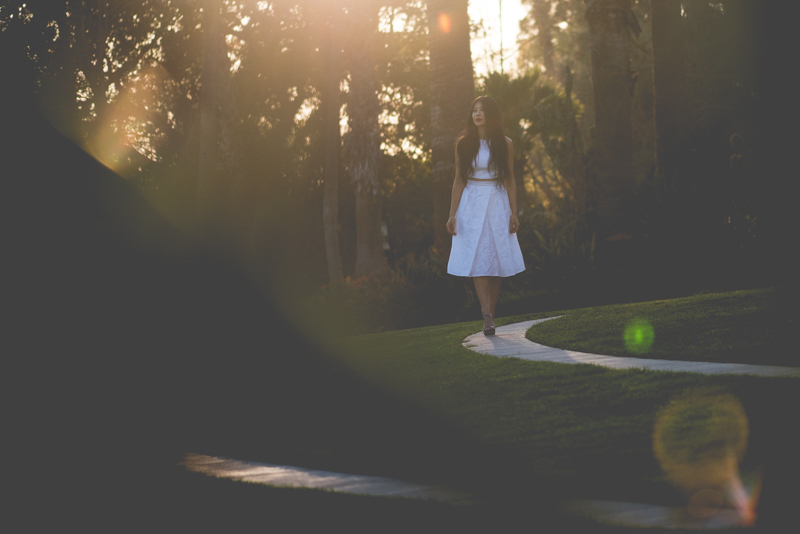 Capturing the glowing sunset during golden hour while chatting with hotel guests on pre-dinner strolls made for serene moments worth treasuring! The outfit's versatility is quite exciting. Layer it with a jacket for a chic and feminine daytime look and disrobe at night to reveal the sultry criss-cross back. The floral heels adds a pop of vibrancy to the clean palette while keeping the look romantic and just a bit dainty. In this dress, I felt like a modern day Cinderella. But then again, life kind of feels surreal right now as winning the first two legs of the Amazing Race seems like a story ripped straight from the pages of a fairy tale!